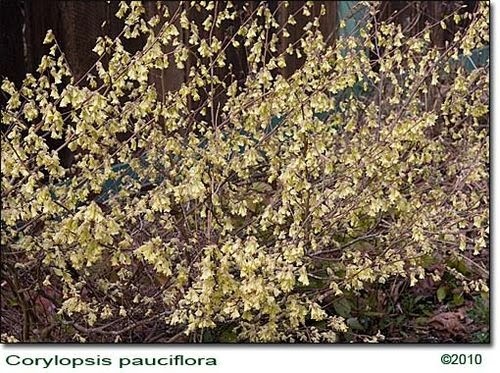 I’m hanging my head in shame because I promised to put up Corylopsis pauciflora for the 15th of the month Bloggers’ Bloom Day. I blame end of the quarter and finals week at school for my not following through. Are you tired of the same old excuses? 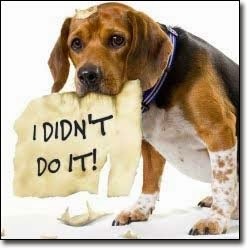 Some don’t sound right anymore: “my dog ate my computer” would seem the natural evolution of the old standby excuse, but not too feasible. I’m sure someone’s dog, somewhere in the world ate a computer and wound up with bad indigestion and lead poisoning, but that seems highly unlikely or a very rare event. Here are my late arrivals that were photographed on that day. Next month, I will be on time or my excuses will be far more creative. 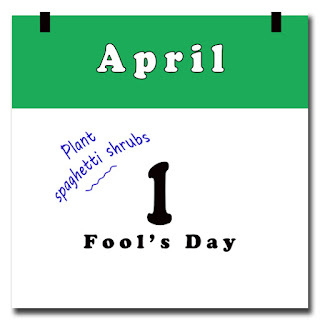 Ah, but you don’t care about my excuses, you just want the plants! 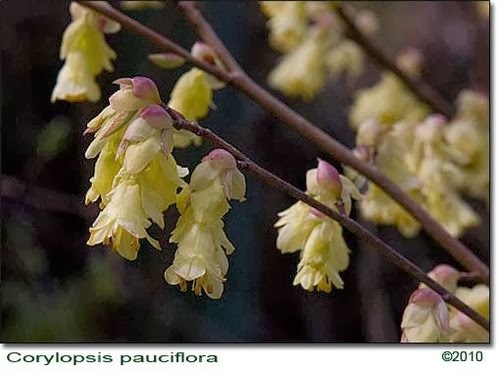 Corylopsis pauciflora (pronounced: kor-ah-LOP-sis pa-sih-FLOOR-ah) is a sweet little shrub that loads its branches up in late winter with cheery, light yellow blossoms. Although it’s called winter hazel, unlike its cousins the witch hazels and the winter sweets, there is no scent. 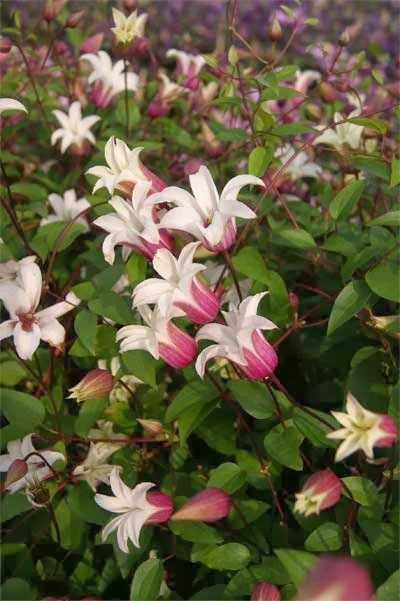 This shrub will do well in a small space, growing up to about five feet tall. You can’t say that about forsythia which needs a lot of space to look its finest doing its best fountain impression. 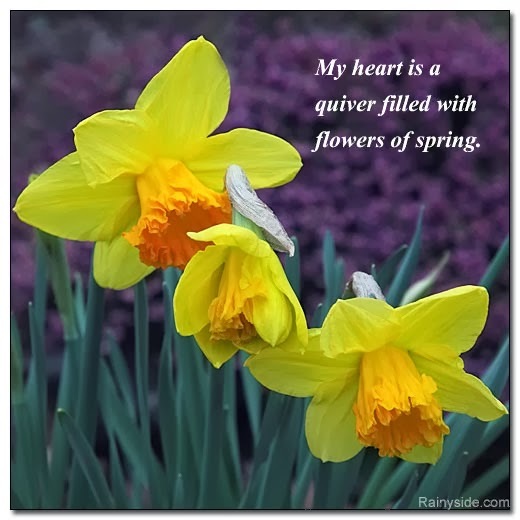 My heart is a quiver filled with flowers of spring. 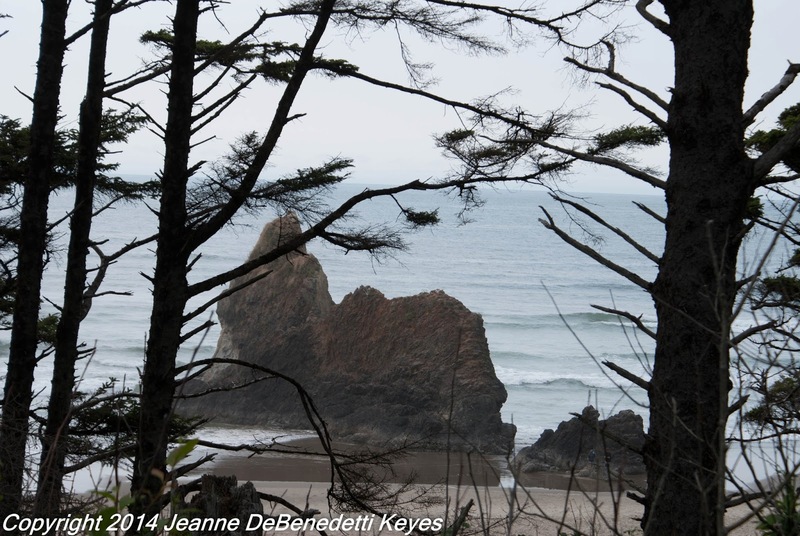 While running along the trails at Nehalem Bay State Park last weekend, I was again reminded why I love the iconic and craggy trees that inhabit the bluffs along the Oregon Coast. Crazy as it may sound, I was enjoying the wind and rain that lashed the ocean into a frenzy and whipped the trees about with a loud roar. 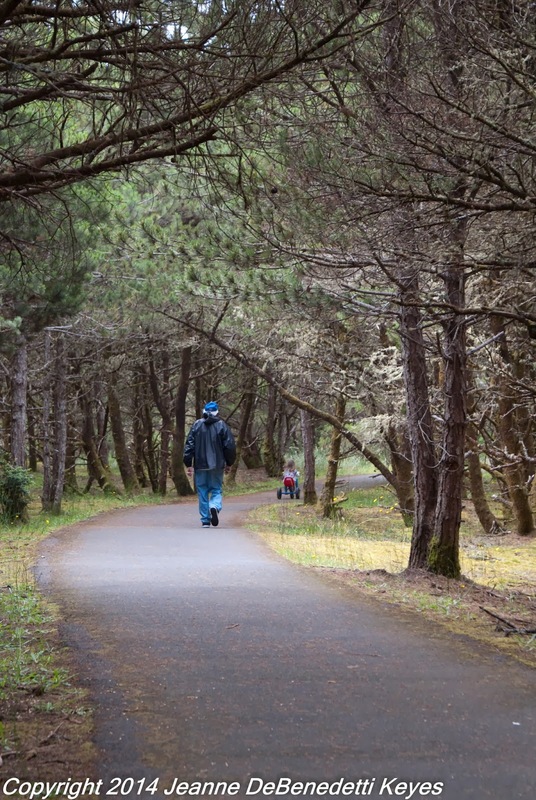 As I ran along the path, I was reminded of an article I wrote in 2010 on shore pines. Nothing symbolizes the wild beauty of the Pacific Northwest coastline more than the shore pine, Pinus contorta var. contorta. 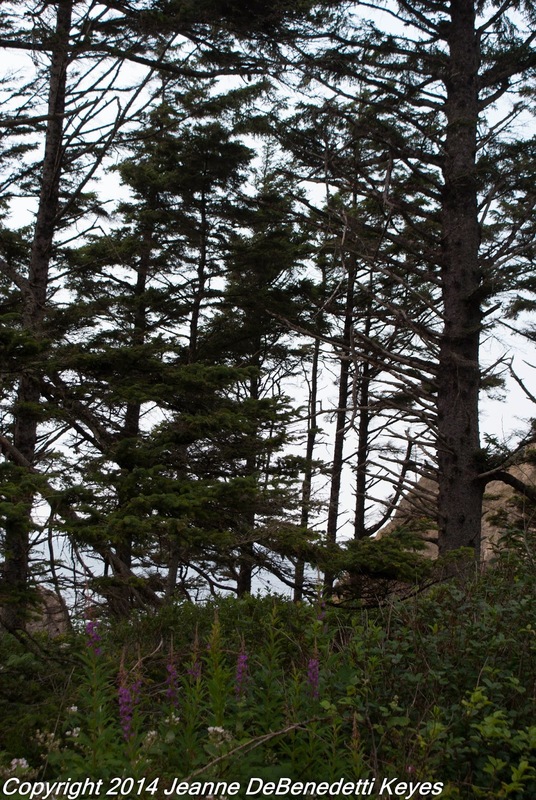 It is the tree that you see along the headlands and beaches from Alaska to Northern California. The shore pine is a beautiful, small, evergreen tree that can grow to 50 feet in the right conditions. The needles grow in pairs, roughly 2-7cm long and are a deep green. The needles are often curved and twisted. The bark is moderately thick and arranged into scaly, deeply furrowed plates. The seed cones open and release upon maturity, unlike its cousin the lodge pole pine, Pinus contorta var .latifolia that needs the heat of fire to release the seed. Shore pines are very tolerant of poor soils in wet or dry conditions. They also tolerate salt spray quite well and are useful for stabilizing dune habitat. They are important for absorbing excessive rainfall and regulating water flows. Shore pines are an important food source for squirrels and other rodents who eat the seeds. Shore pines were also important to native peoples who boiled the inner bark for food. Coastal Native Americans also used the pitch to treat open wounds and chewed the buds to relieve sore throats. So, now that I’ve listed many of the wonderful attributes of the shore pine, I am going to mention one more. Shore pines achieve a naturally wild beautiful shape due to strong winds, poor site conditions and genetics without pruning and pampering. I call this a natural bonsai without the meticulous work of Japanese gardeners. I enjoy the wonderfully twisted shapes of the tree trunks. Okay, so maybe this little forest could use the help of a few Japanese gardeners but whoever said Mother Nature was tidy? I spent part of the day with Mary Robson in her Pt. Townsend garden overlooking Discovery Bay, along with a group of King County master gardeners. Her home and garden, although surrounded by large trees, has an opening to let in the warm sunshine. We welcomed the warming rays of the late winter sun, and as we traipsed through Mary’s garden, she shared inspiring stories about her garden obsession. Her garden features tough, drought tolerant plants and spring bulbs, with lots and lots of daffodils—one of Mary’s passions. After all, a late winter/early spring garden doesn’t herald the wakening season without the long strappy leaves leaping out of the soil, topped with sunny-hued blossoms. The garden is nestled into the hillside, sculpted with terraces of basalt rock, stone stairs and flagstone paths. A view of Discovery Bay opens up to the west and trees border her just-over-an-acre property. Her gardens surround the home and she explains how she holds herself back when she thinks about expanding the garden further into the trees. This is a good choice; she can enjoy her garden, and not be a slave to it, allowing Mother Nature to tend the wilder parameters surrounding her home. Living in the wilds of the Olympic Peninsula has shown her what pests deer can be. She is learning strategies to cope and minimize their destructive habits. Her last home on Capitol Hill in Seattle didn’t have deer pillaging city gardens. Over the years, she empathized with gardeners’ woeful tales of marauding deer, but she couldn’t relate to it. Now she knows firsthand what a nuisance these four-legged creatures are. Another plant to keep an eye out for is an early flowering Hibiscus 'Tangria,' which flowers well in our cool Pacific Northwest gardens. 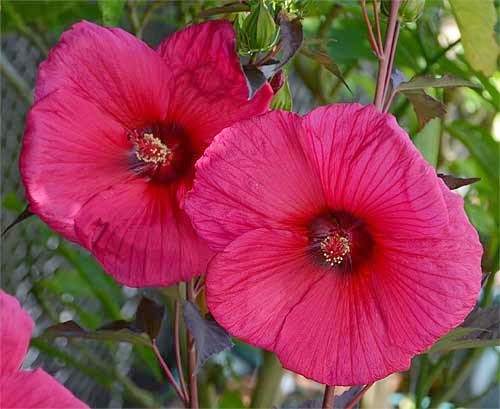 I have one hibiscus that for the most part sits in the ground all pretty and rarely blooms. It buds up some years, but without the heat in summer and cold springs, it doesn't flower in time before fall slices it back to the ground. This one flowers earlier so should be a reliable bloomer. Flash Back Thursday to March 2010. Our region is blessed with the renowned group Seattle Tilth, a non-profit educational organization that dedicates itself to inspiring and educating people to garden organically and conserve natural resources, as they say in their mission statement. "The mission of Seattle Tilth is to inspire and educate people to garden organically, conserve natural resources and support local food systems in order to cultivate a healthy urban environment and community. Our vision is to transform the NW region into the organic gardening capital of the world." What better way to fulfill their mission than to offer classes, operate a garden hotline, keep demonstration gardens and offer hands-on children’s program, for school groups and summer camps. Showing people how to raise healthy chickens in an urban environment, and organizing a city wide Chicken Coop Tour are two more examples of their creative teaching projects. They also offer a variety of classes and workshops from beekeeping to container veggie growing. If you want to turn your lawn desert into a sustainable food growing system and don’t know how, Seattle Tilth has plenty of programs and information to help you jumpstart your way to success. 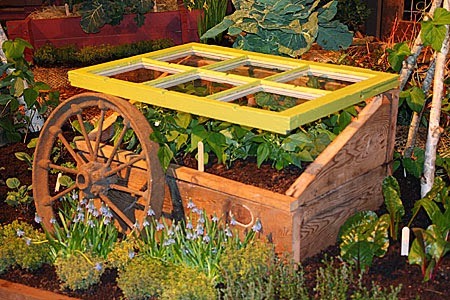 Those who attended the NW Flower & Garden Show most likely enjoyed the Seattle Tilth’s display garden; I know I did. Cold frames, barnyard animals and edibles surrounded the beautiful red shed. 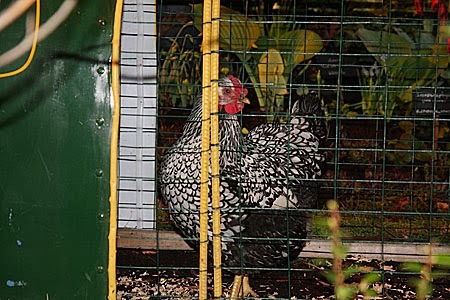 A cute little chicken tractor was displayed on one side, while goats enjoyed viewing the crowds from their pen on another side. The small, clever garden design was jam packed with vegetables that were beautiful as well as edible. I am one who uses my apple and plum trees, blueberry bushes, pumpkin plants, bean vines and colorful Swiss chard in the front garden as edibles as well as ornamentals. If you are not sure how to start and maintain a compost pile or worm bin, you can listen to a Master Compost/Soil Builder podcast from Seattle Tilth’s web site. Photos taken at Seattle Tilth's display garden during the 2010 Northwest Flower and Garden Show. 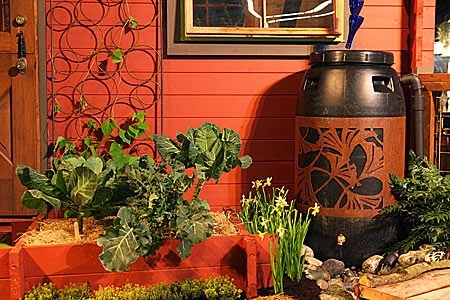 Trends in Gardening are admittedly slower to change than trends in fashion or interiors. Some come and go within a season. Other trends seem to gain momentum slowly until they become ubiquitous features in garden design. Glass is one of those trends. 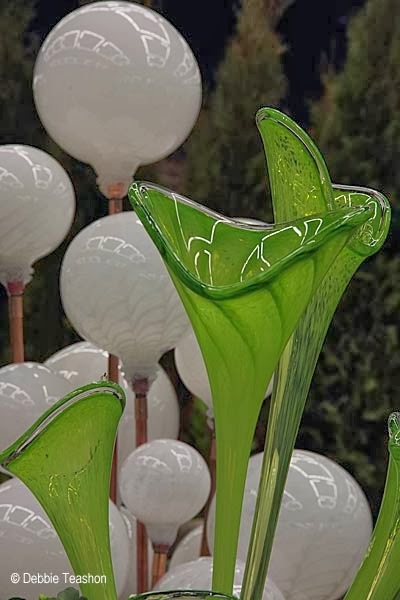 Although glass has been popular garden art for many years, I find it interesting that glass, in some form, is in almost all of the display gardens this year. Is glass a garden feature, important to design, like seating, water features or garden buildings? I love glass. It is a durable, water-proof material that holds up well in the garden as long as it is secured in the ground or attached to structures properly so that it doesn't break. I know some would disagree - glass is sharp if broken and can be dangerous to people and pets. Glass balls or floats have been used extensively in fountains. Several of the display gardens have used them as spots of color and musical notes as they clink together in the water. Designers Phil Wood, Bob Lilly, and Rhonda Bush used them as privacy screens, almost like gabions in the Washington Park Arboretum garden "The Garden of Artful Delight - Homage to the Art and Garden of Ginny Ruffner". I love the way the light shines through the jewel toned balls of color. In fact, in this garden, glass takes on many shapes from leaves to flowers to squiggles of opaque glass in the entrance arbor and is present in the ground, in pots and in the trellis and arbors. Milky white glass globes, bamboo sticks and other rounded glass shapes of glass artist Jesse Kelly enhance the theme of the "Circles All Around Us" garden created by designers Susan Browne and Steve Hussey. In this photo, the white globes and green "chalices" reflect the theme "round in shape, or with round leaves or flowers". The rusted metal sculptures and circular gates are a pleasing contrast to the white tulips, hellebore and variegated plants such as Pieris japonica 'Varigata'. Glass chandeliers, made famous by Dale Chihuly, although on a smaller scale have been showing up in gardens for many years now. In the garden, "Terra Cadence - the Rhythm of the Earth" created by designer by Susan Calhoun and collaborators Ryan Blythe and Michelle Burgess, the crystalline clear glass of the chandelier look like icicles or a waterfall, particularly with the rill of water, trickling below it. This year glass is presented on a massive scale. Designers and collaborators Karen Stefonick, Steve Spear and Bill Ellsbury in the "Darwin's Muse Art Imitating Life" garden, show case the intricate and exquisitely formed artwork of Jason Gamrath. The streamlined building and limited but beautiful plant palette really display the glass sculpture to amazing effect. 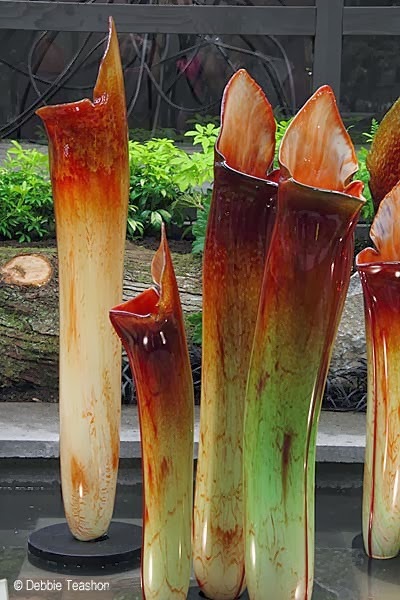 The glass orchids and pitcher plants (Sarracenia sp.) are so realistic in color and shape; they almost look like real plants. You can view more of Debbie Teashon's wonderful photographs in her video, Art in Bloom or better yet come to the NWFGS and see for yourself!